The BBC’s Shaimaa Khalil has been arrested in Egypt while reporting from Cairo. She had travelled to Tahrir Square after Egyptian security forces had moved in to clear the area of protesters. The demonstrators have been demanding swifter political change from Egypt’s military generals amid concerns that the revolution which brought down President Hosni Mubarak in February is stalling. They had set up a camp in the square three weeks ago. Shaimaa Khalil was tweeting from Tahrir Square and uploaded a number of pictures to Twitpic. Her last tweet before her arrest revealed that the atmosphere was "extremely tense" and that the area was surrounded by "military", "riot police" and "armoured vehicles". She also said she had been told by somebody at the square to be "careful" as security forces "arrest anyone taking photos". The BBC’s World News Editor, Jon Williams, said he was "very concerned" at Khalil’s detention and that the BBC was doing all it could to "secure her release". He noted that "arresting journalists" for doing their job was "not a great advert" for a new Egypt. Word is coming through that Shaimaa Khalil has been released from the military base where she was being held by Egyptian authorities. 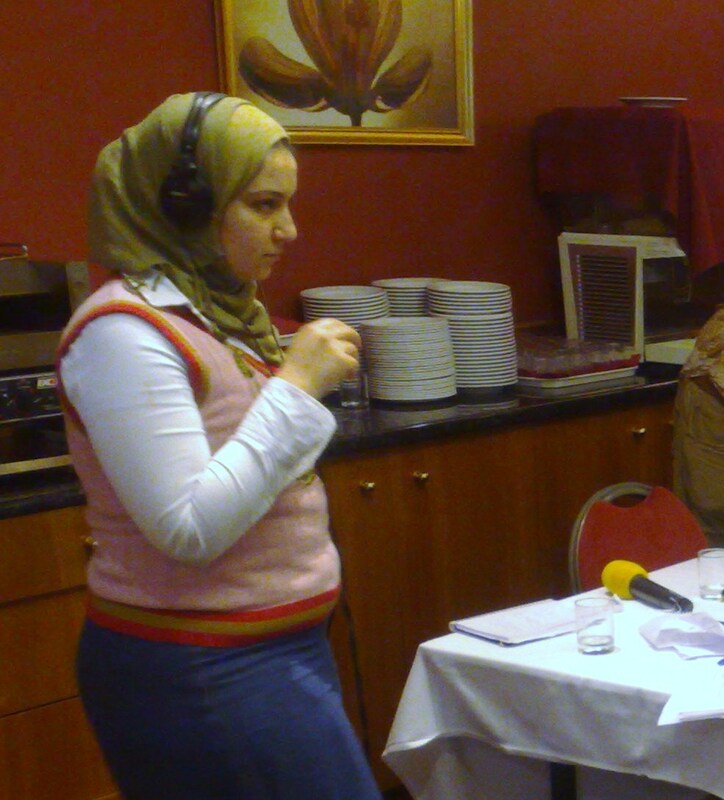 Photo: Daniel Bennett, Shaimaa Khalil working for the BBC’s World Have Your Say in 2008.